2018 SWRAASA Presentation by Rick W, Area 65, Panel 67 at the 2018 Southwest Regional A.A. Service Assembly (SWRAASA) in Branson, MO on October 6, 2018. Hello family, my name is Rick, and I’m an alcoholic. My sobriety date is November 17, 1987 and it is my honor and privilege to serve as the GSR for the Grapevine Unity Group in Grapevine, TX in the Northeast Texas Area 65. So, what does a statement like that really mean? In short form, it means that we have a responsibility to the future of our Society, it’s trusted servants, it’s members, and it’s potential members – to not only be well-informed about who we really are as a people, but who we wish to become, through supporting & sustaining a Fellowship that reflects the diversity found with in it – in all it’s corners. The very fabric of success in our 12-Step program is founded on our ability to accept change. When Bill Wilson gave us his two-word definition of what aSpiritual Experienceis on page 567 of our Big Book –“personality change” –in that sentiment alone, we were called to embrace and begin the process of accepting change in our personal lives. So, I ask you, how is the Fellowship any different? Long have we been a group of people that have both embraced change – AND railed against it at the exact same time! The more activist natured of us want to change everything – whether it be the brand of coffee we use in the pot, or the kinds of toilet paper we use AT the ___! Conversely, we go to great lengths to make sure that we are making our home groups as consistently welcoming as they can be – creating no barriers of any kind for that sick and suffering alcoholic who’s about to come through our doors. Our willingness to look at the topic of Unity, Diversity and Inclusion today ALSO calls us to be willing to have the hard conversations. We need to be willing to talk about those things that have long been a source of fear for so many of us. We fear those things we don’t understand – so we don’t talk about them. So, I have a question for you. Show of hands, how many of you know the REAL source of our Third Tradition, the real source? Years ago, I had the opportunity to listen to a recording of Barry L., author of “Living Sober” when he spoke on “The Origin of the Third Tradition” at the 50th Anniversary Convention of Alcoholics Anonymous in Montreal in July 1985. I found it interesting that when I looked up the definition of UNITY in the dictionary, it gave two very different definitions. The first was, “the state or fact of being united or combined into one”,but the second was, “absence of diversity; unvaried or uniform character.” By God’s grace, the Fellowship of A.A. has informally adopted the first definition. So, do I get to bring MY better way to the service work I am doing? Do I get to offer suggestions on possible alternatives to the way things have always been done? Sure I do – BUT I need to remember to offer those suggestions from the standpoint of how it can be beneficial to the whole and not just beneficial to me. I need to remember that there are always other points of view that are valid as well. I need to remember that there are other very smart and talented A.A.’s who can bring wonderful ideas to the table. I also need to remember that in A.A., there is always room for the minority or dissenting opinion, for sometimes that minority opinion could sway the group conscience in a way that we could never have dreamed of. I love that the Traditions Checklist asks me to ask myself how I’m doing at that. What am I doing to promote unity in the Fellowship of A.A.? Am I allowing diversity and inclusion to be a part of A.A., or am I keeping my mouth closed in my group conscience and then campaigning against it outside the room to fellow members? Adjust NOT the spiritual principles that got you and I to this point in our recoveries, but adjust our attitudes and beliefs that keep others from having that very same gift given to them. When I had the honor of serving as Chairperson for South Eastern New York – Area 49 in Panel 65, I met some wonderful trusted servants. One of them was Past NE Regional Trustee, J. Gary L. Gary was given the privilege of delivering the keynote address at the 2015 General Service Conference. In his comments to the body, he talked about some of the challenges facing Alcoholics Anonymous, and how those challenges were of a nature and magnitude that our founders could never have even imagined – specifically regarding DIVERSITY IN MEMBERSHIP and DIVERITY IN SERVICE. “While AA is no longer the collection of white males that it was in the beginning, our membership does not yet reflect the diversity of society at large. If we believe that the disease of alcoholism does not acknowledge the boundaries of gender, race, ethnicity, religion, age, economics, education, disability, or sexual orientation, then we have much to do in terms of making our program attractive to those who are underrepresented in our rooms. Having said that, however, are we willing to invest the effort, the resources, and the open-mindedness necessary to create a welcoming, safe, and nurturing environment for everyone? If the only requirement for membership is simply a desire to stop drinking, then what are the impediments that are keeping so many who need us from not coming in? If our general membership is not reflective of society as a whole in terms of diversity, our trusted servants seem even further removed in this regard. In 1967, Eastern Pennsylvania sent Louis R. to the General Service Conference. Lou was the first African American Delegate to participate in service at this level. It is said that Bill W. shed tears when he first greeted Lou. That historic moment opened the door to at least greater racial diversity within our service structure. 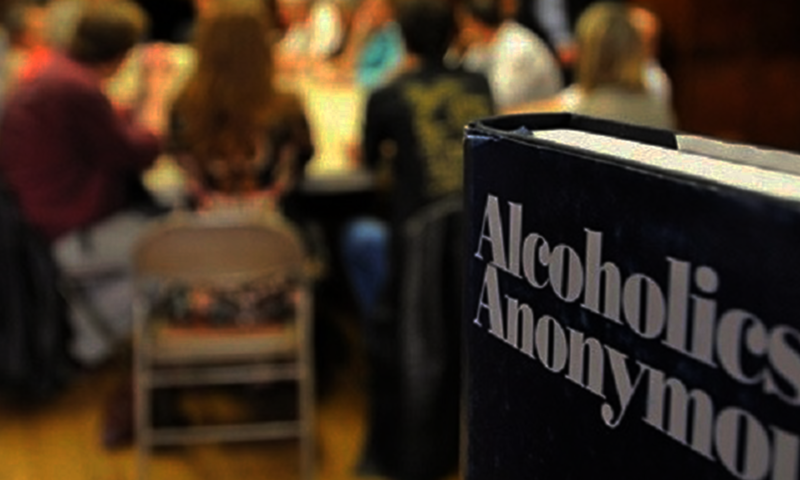 So I’ll say it one last time – the capacity of Alcoholics Anonymous to accept change – has been central to its ability to remain relevant. For us as a Society to remain relevant, we must be willing to open our hearts and minds to the possibility, the REALITY, that we are all different – AND – at the exact same time, all the same. We are here for one purpose and one purpose only – to get, keep and give away this precious gift that has been so freely given us. So, I challenge each and every one of us in this room today – let us SPEAK unity, diversity and inclusion with our lips – and let us REALIZE unity, diversity and inclusion through our actions, so that never again does an alcoholic come to us and not feel a part of. Next PostNext Want to Hear Great AA Speakers?